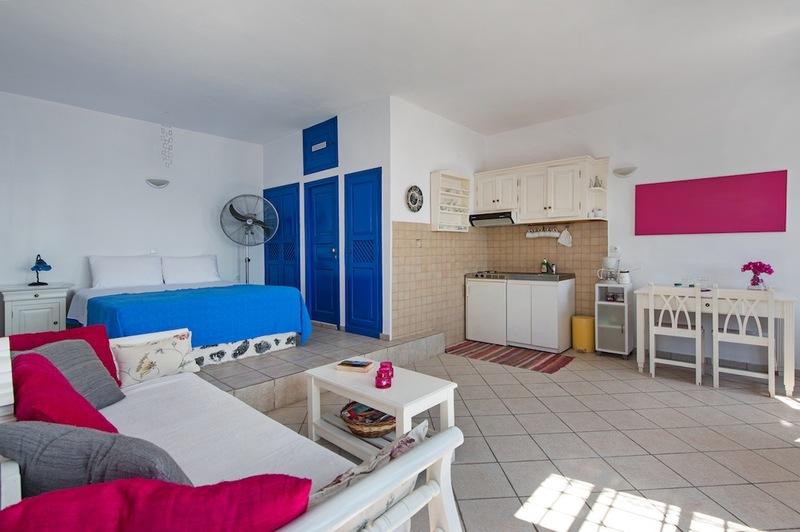 Miamo is an elegant suite of 45sq.m. 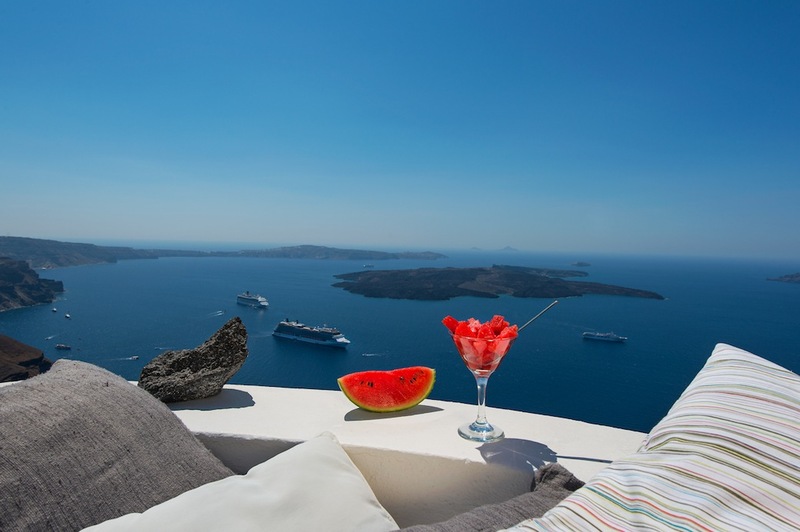 which literally floats on the edge of the Caldera, in marvelous Imerovigli. 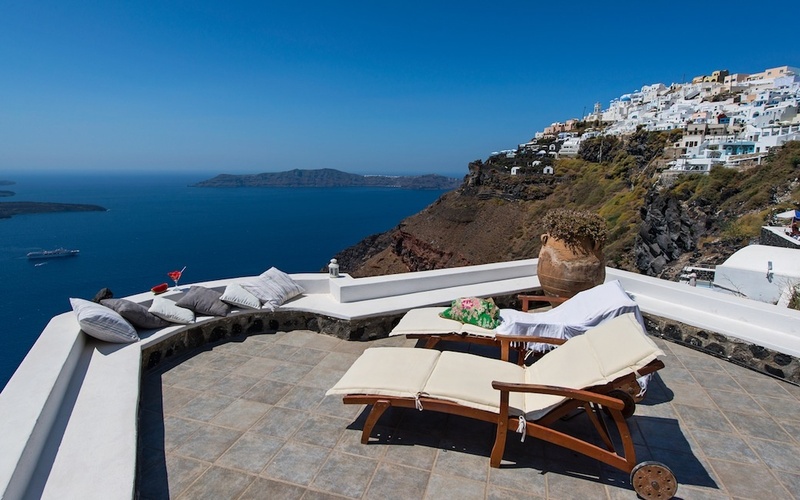 Its location is exceptional, and has a view of the volcano, the Caldera, and Santorini which takes your breath away. 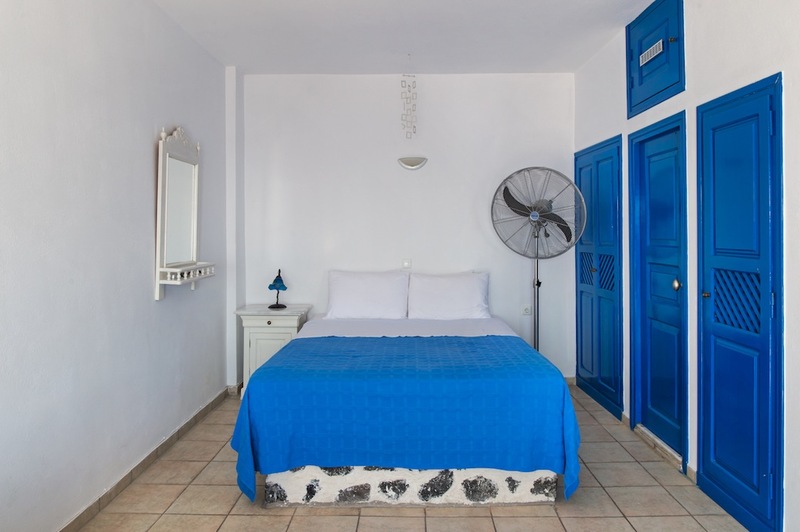 The suite is built according to traditional Cycladic architecture and offers a stone-built double bed, bathroom, and a small fully equipped kitchen, and a marvelous large private veranda of 25sq.m. 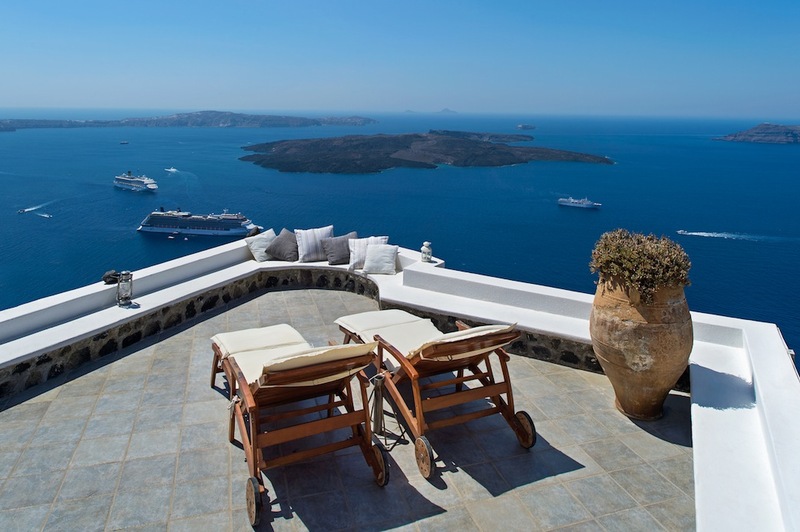 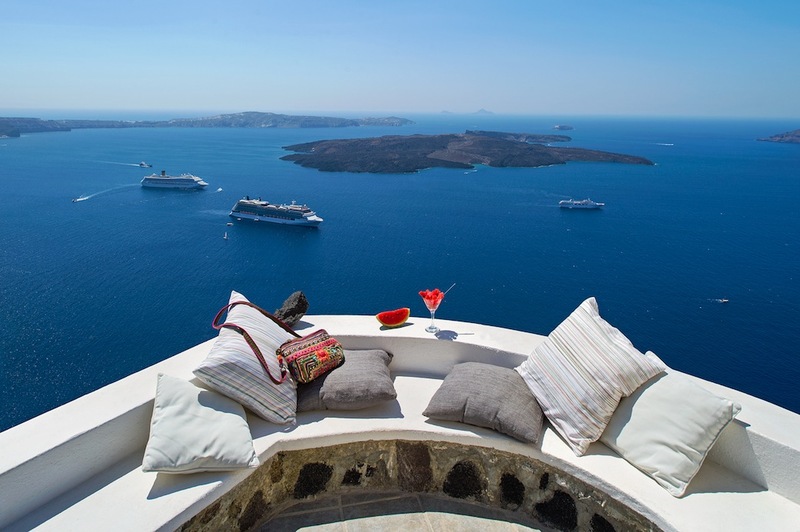 with two comfortable chaises-longues with a direct view of the volcano and the Aegean Sea. 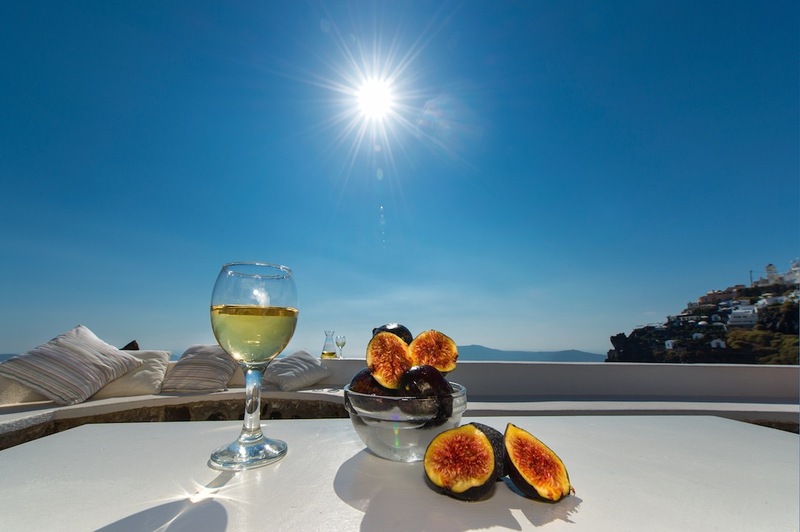 Miamo offers its residents protection of their privacy, while it is only 2km from the busy and charming capital of Santorini, Fira, 10km from the port and 7km from the airport. 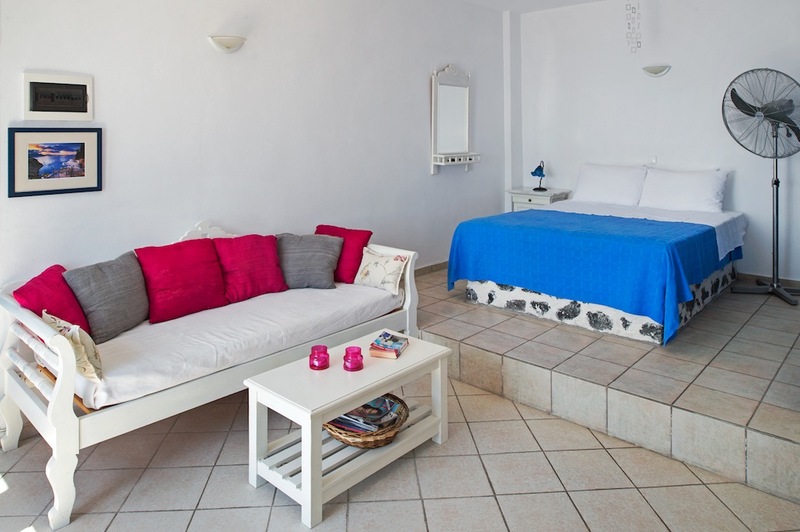 The distance from the closest public parking is only a 3 minute walk away. 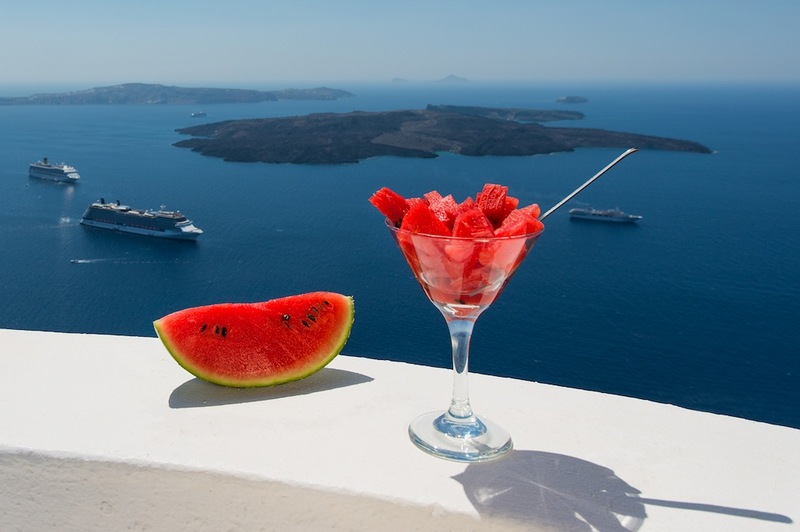 There you will find many restaurants and mini-markets.